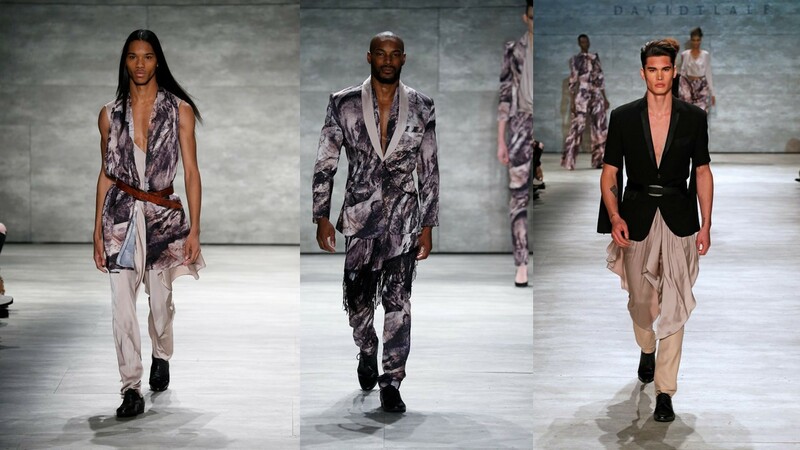 Overall: Designer David Tlale said “This collection is inspired by the aftermath of a volcanic eruption." 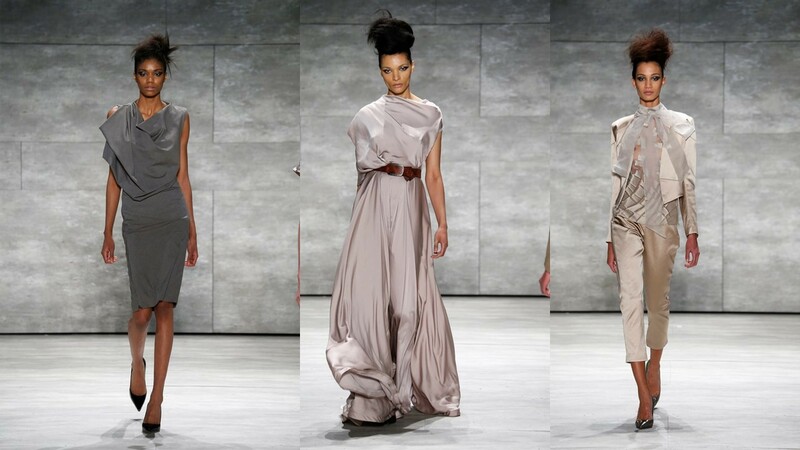 This collection was an eruption for sure. The show definitely flowed like an aftermath from a volcano. 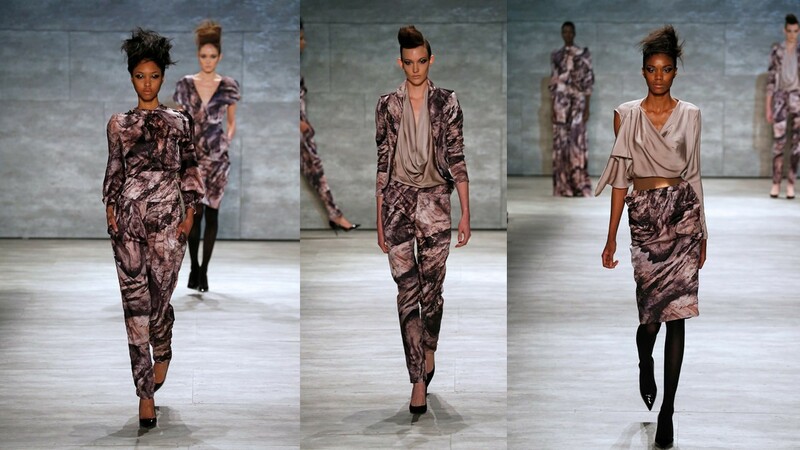 From prints in a soft mauve and black in a wavy deposition to bias cut dresses and men's harems pants that moved with the greatest ease. 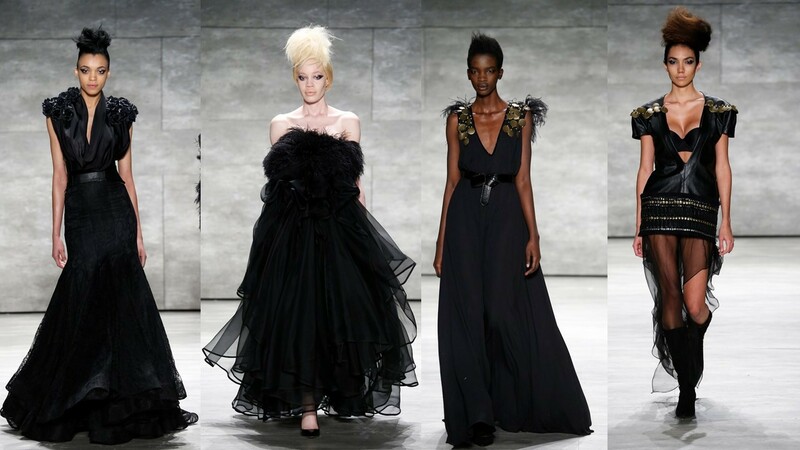 The ending of the show with a plethora a of black dresses that out-poured with sensuality and sexiness at the same time.